A couple came to the Northern Optics weekend public outlet at the Waters` edge visitor centre at Barton upon Humber looking for a good quality spotting scope, that was as useful for looking at birds on the back garden feeder as well as general use out and about. Due to the excellent image quality for close up work, they chose the Celestron Ultima 20-60×80/45 angled spotting scope with stay on case. Another bonus was the long eye relief, as the user was a spectacle wearer. 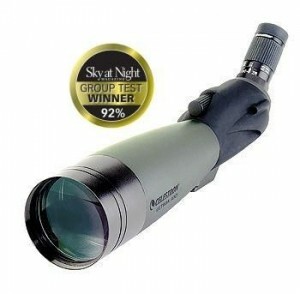 This entry was posted in Celestron Spotting Scopes Reviews and tagged celestron, spotting scope, ultima. Bookmark the permalink.